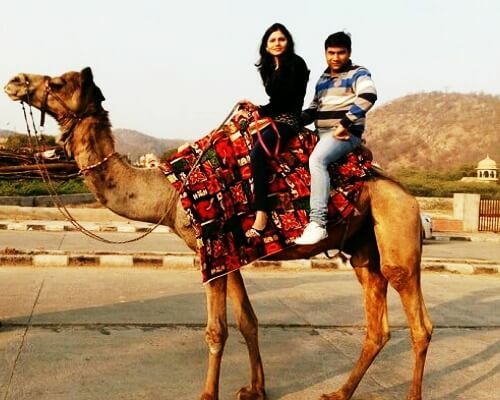 Couples tying knot in and around August must be busy in all the shaadi chores and searching for honeymoon places in India in August for a super romantic retreat with their life partners. Monsoon is the idyllic time to plunge in romance and to enjoy the awesome weather and romantic walks in the rain. 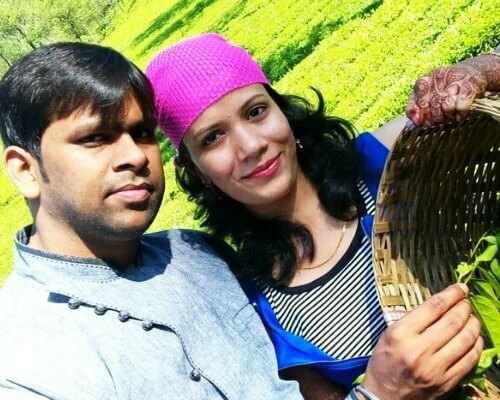 It’s that time of the year when most of the tourist places are pleasant and calm making for a perfect hideaway for couples.To help you plan better for a romantic private nirvana—here comes a ready list of one of the most fascinating honeymoon places in India in August. 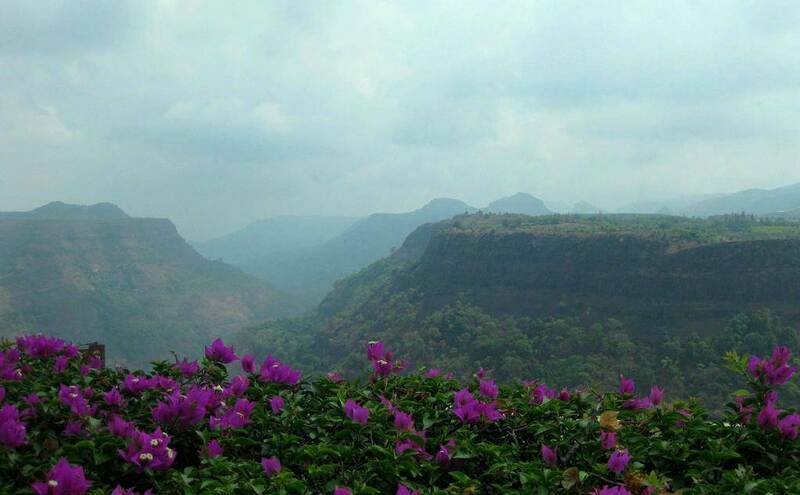 Khandala is already a top ranker in the list of best places to visit for honeymoon in August in India. “Aati kaya Khandala?” is a popular Bollywood song that has made this place a popular hotspot to chill out and rejuvenate with your sweetheart. Khandala welcomes all lovely couples with misty weather, chilling nights, rain flushes, and glittering waterfalls helping the romance grow by leaps and bound. For a supreme romance spree- just drive in rain down to Khandala via Mumbai-Pune Expressway. This drive will surely be the fondest memory of lifetime. How to reach Khanadala: There’s no airport in Khandala. Pune’s Lohegaon Airport is the nearest airport, which is 2 hours drive to Khandala. Khandala (3 km) and Lonavala (5 km) are the nearest stations to Khandala. Agumbe is known for its lush and sprawling rainforests, smoky hills and amazing views. This small and antiquated hill station in Karnataka receives heavy rainfall, especially during monsoon months. It’s also known as the ‘Cherrapunji of the South’. The scenic beauty, trekking trails, shimmering waterfalls, green forests look more beautiful than ever during monsoon making it one of the best honeymoon destinations in south India in August. 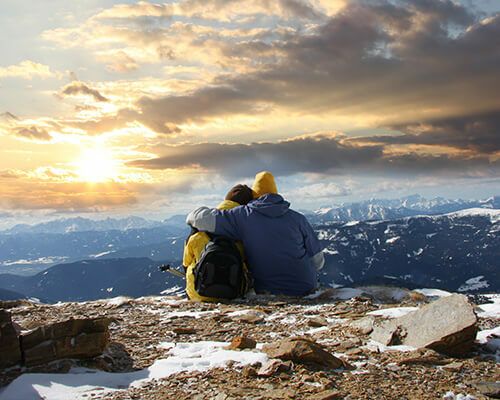 Enjoy trekking and discover unknown trails with your spouse. There are no luxury hotels in Agumbe. The above mentioned hotels are a little far from main Agumbe town. 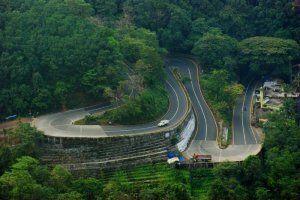 How to reach Agumbe: The nearest airport from Agumbe is Mangaluru International Airport, which is 100 km away. The nearest railway stations are Shimoga (90 km) and Udupi (55 km) away from Agumbe. For those who looking for an offbeat destination and quite confused about where to go on honeymoon in August, we suggest Coorg is the place. This is a stunningly beautiful and serene hill station in Karnataka known for its aromatic coffee estates, spice plantations, glittering waterfalls, vibrant monasteries, and tranquil ambiance. To top it all, monsoon shower during the rainy months makes it look lush green all over. How to reach Coorg: The nearest airport is Mangalore Airport, which is 160 km away from Coorg. Situated 95 km away from Coorg, Mysore Junction is the nearest railway station. 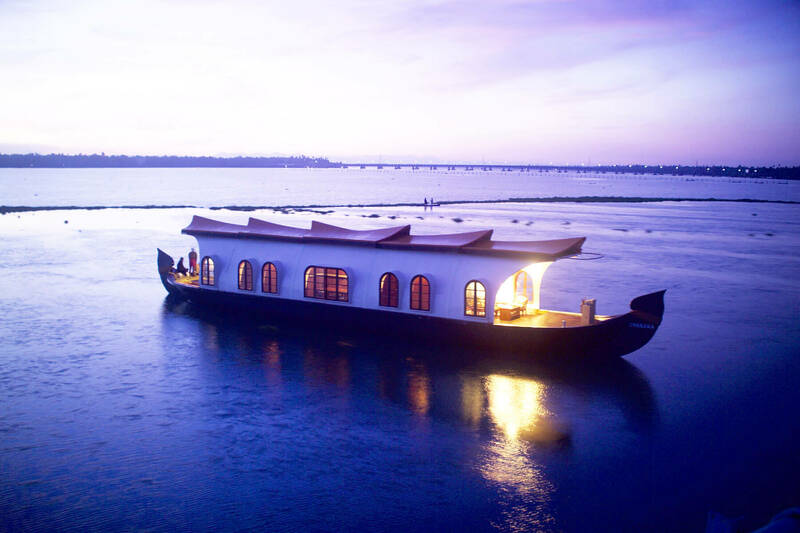 Alappuzha, popularly known as Alleppey is among most divine and paradise-like honeymoon destinations in India in August. 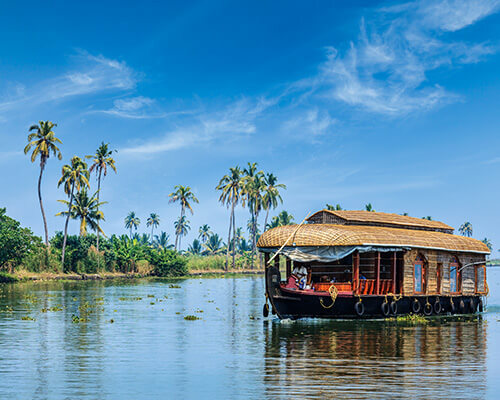 It features beautiful backwaters landscape, lush-green palm and coconut plantations, quaint fishing villages, picturesque chapels and sprawling paddy fields. The cozy vacation in a houseboat is an additional charming element here. If you are planning to visit around 2nd week of August, do not miss Snake Boat Race (this year on August 12). 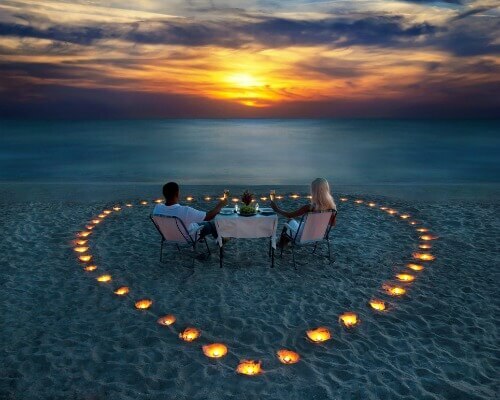 This will be an experience of a lifetime with your darling. How to reach Alappuzha: Located 78 km away, Cochin International Airport is the nearest airport. Alleppey Railway Station is about 4 km away from the city centre. Covelong is sun-kissed beach near Chennai. The serenity of the area, sparkling shores, azure water of the sea, picturesque fishing village, and the beachside rain-washed palms allures couples, especially during monsoon. 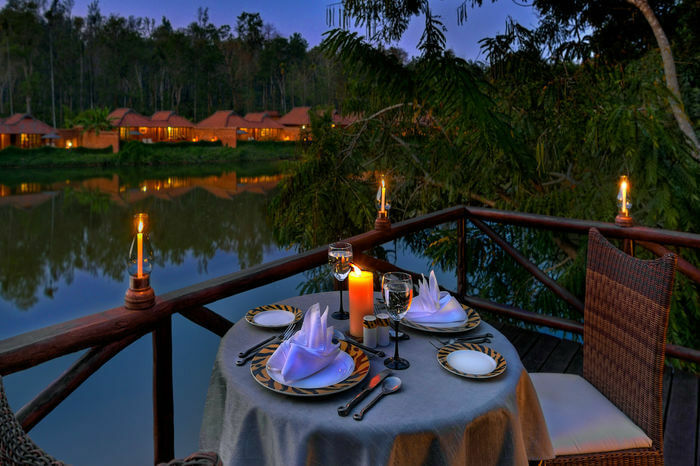 It is now becoming popular as one of the best honeymoon places in India in August. This beach is known for watersports like parasailing, surfing and sailing. You can see couples taking a lazy walk along the shores. 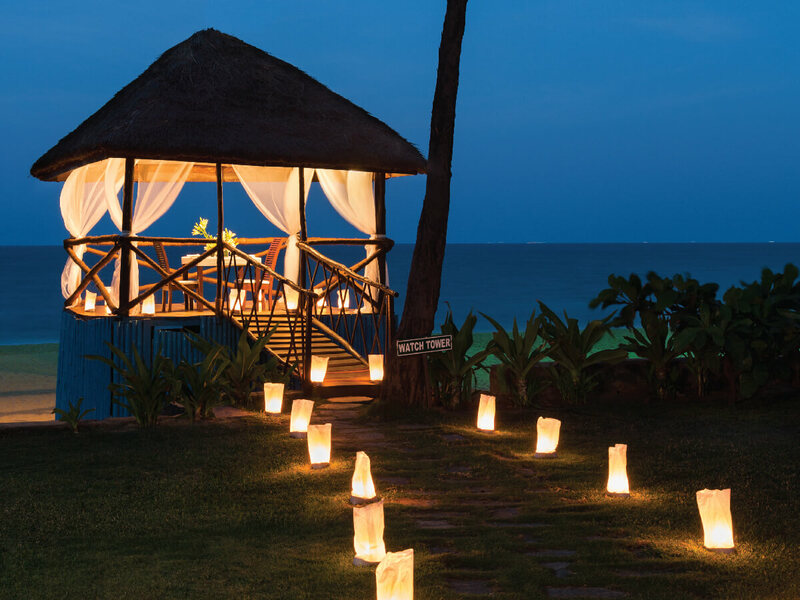 Just stroll over the glittering sand and sun bathe with your better half. How to reach Covelong: Chennai International Airport is approx. 38 km away from Covelong. Tambaram Railway Station is just 20 km away from Covelong. Kovalam is a picturesque beach retreat, famed for its tranquility, water sports, sumptuous coastal cuisine, and amazing scenery all around. This is the most spectacular and best place to visit in August in India for honeymoon. The lush green beachside plantations sway with monsoon breeze and heavy shower during these months making the place look greener and refreshing than ever before. 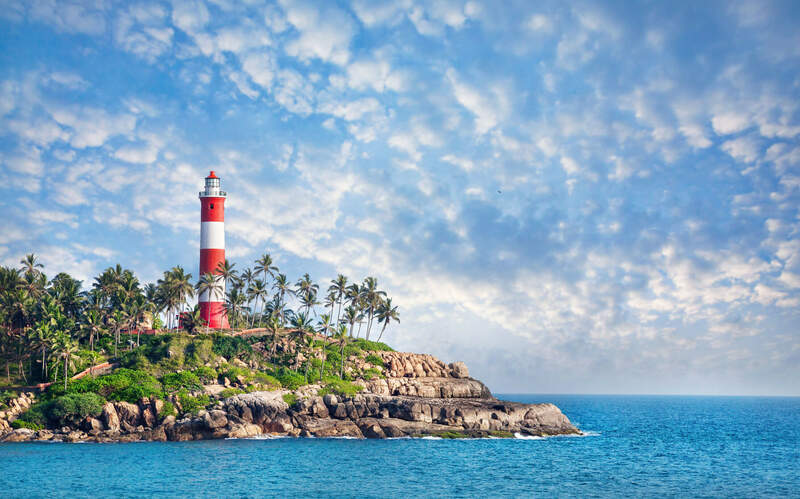 How to reach Kovalam: Situated about 15 kilometers, Trivandrum International Airport is the nearest airport to Kovalam. Trivandrum Central railway station is about 15 kilometers from Kovalam. 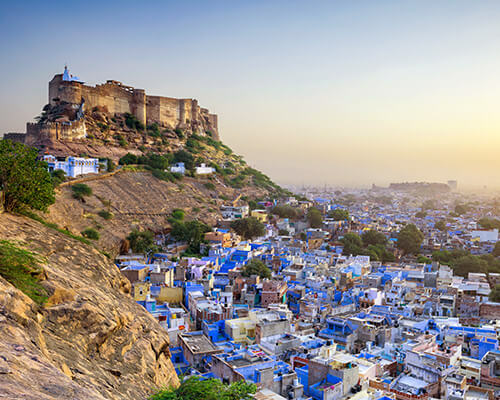 Suggested Read: 20 Monsoon Destinations In India That Will Make You Dance In The Rain! 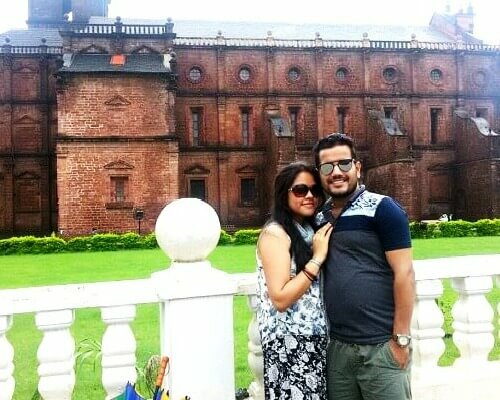 We all know Goa as a refreshing and amusing honeymoon place. But do you also know that this glittering place looks absolutely cool, luxuriant and refreshing during August? The beaches are not scorching anymore, visibly less crowded and you can freely walk around the beaches, sunbathe, and hang out in beach shacks. 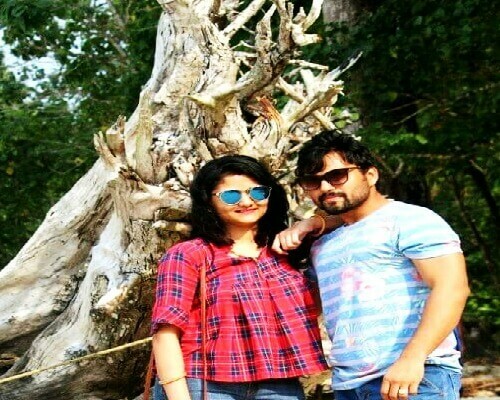 Needless to say—Goa is one of the most awesome honeymoon places in India in August and September to rejuvenate your senses and to keep your romance splurge alive and lively. How to reach Goa: The nearest airport is located in Dabolim. Dabolim is located at a distance of 29 km from Panaji. The major railway station is Madgaon, which is approx. 30 km away from Goa. 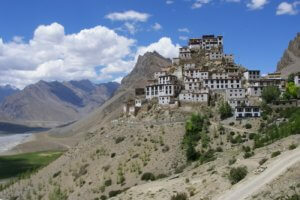 Located at an elevation of 4,270 meters, Lahaul-Spiti is a bewitching hill district in Himachal Pradesh. 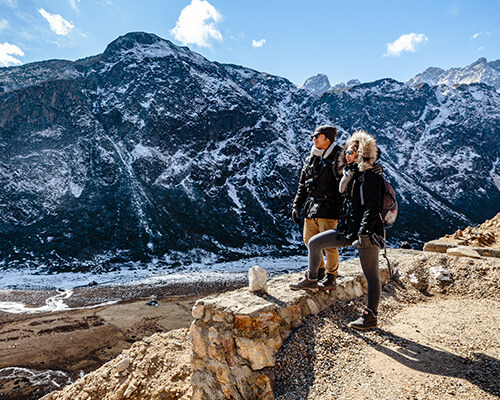 The cold deserts, winding roads, rocky terrain and snow-capped mountains define the picturesque Spiti Valley. Aptly named as ‘Spiti’ meaning ‘The Middle Land’, this valley separates India from Tibet. Surrounded by the majestic Himalayas on all sides, this valley gets cut off from the rest of the country for about 6 months of the year because of thick snow. 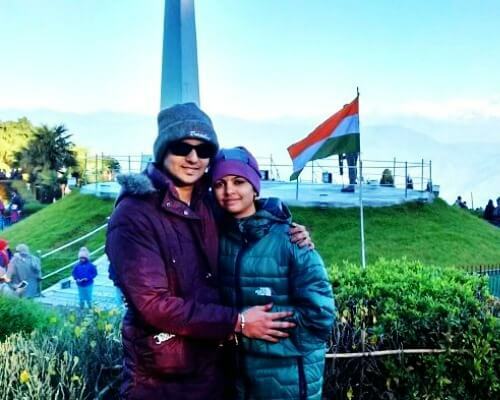 This is why summer (mid-May to mid-October) is the best time to visit this destination, and August is the best time for honeymooning in Spiti. How to reach Spiti: Though Bhuntar airport (245km) is the nearest, it is a small airport. Chandigarh Airport (522 km) is an international airport. There are direct buses running from Chandigarh, Shimla, Kullu, Manali and some other parts of North India. This is one of the best honeymoon places in South India in August. Wayanad is an enchanting rural district in Southern India’s state of Kerala. This place is characterized by its winding roads with hair-pin bends, dense forests, lush hilly ranges, waterfalls and wildlife. 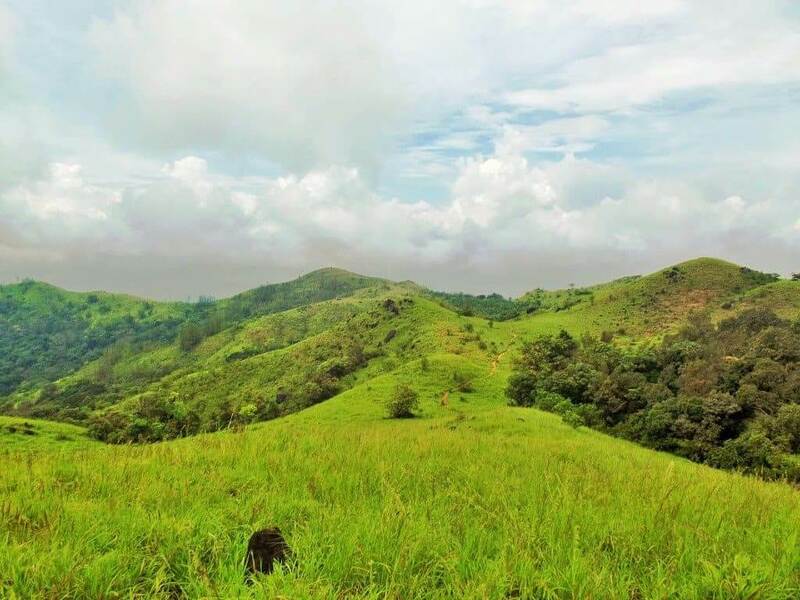 If you are seeking a place which lets you disconnect with the city without having to cut-off from the basic urban amenities, Wayanad it is. Blessed with pleasant weather and abundant scenic beauty, Wayanad is a perfect honeymoon destination. 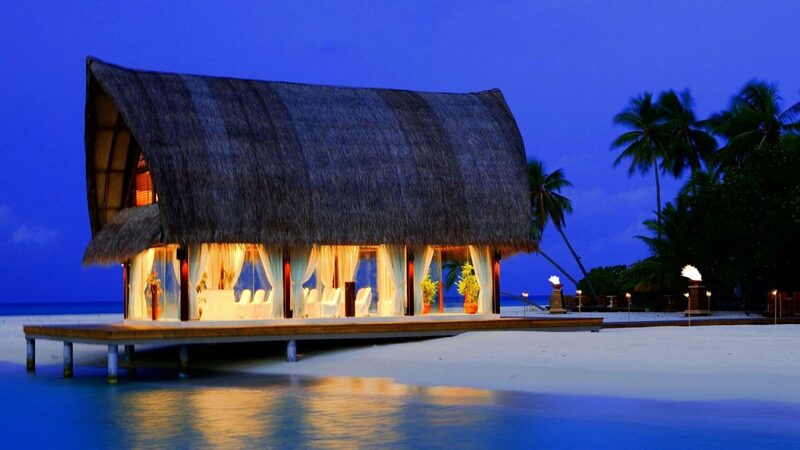 Shutting down the noise and pollution of the city, this place assures you some real private-time with your partner. And if you are the adventure seekers, this place welcomes you as a guest into its untouched corners of the woods. How to reach Wayanad: Nearest airport is in Kozhikode, Calicut International Airport (93 km). For people travelling from the upper region of the country, the nearest railway station is Nilambur railway station (90 km). But the Calicut railway station (110 km) is the bigger station near Wayanad. There are public buses South Indian cities including Bangalore, Coimbatore, and Kozhikode. You can also hire a taxi or auto from these points to the final location. 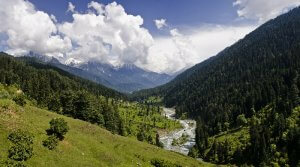 Pahalgam is a mesmerizing hill station in Jammu and Kashmir. This place is a mini heaven the best of scenic wonders you can ever imagine. The huge mountains form the valley and backdrop of the entire landscape. A white river stream gushes along the valley with lush vegetation on its both sides. 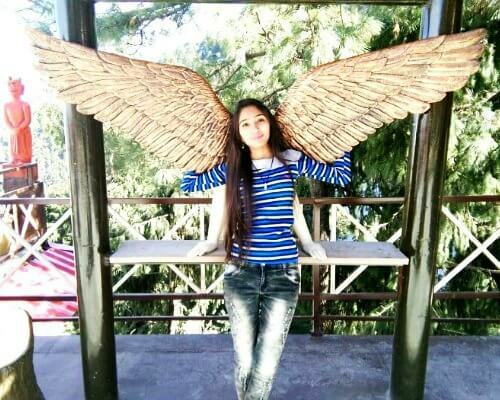 Awesome weather makes Pahalgam a perfect romantic destination. Little houses with sloped roofs make this place look just out of a picture-book. How to reach Pahalgam: There is no direct air connectivity to Pahalgam and Srinagar Airport (91.1 km) is the nearest airport. There is direct rail connectivity either. Regular buses operate on a daily basis between the city and other regions. Chamoli is the second largest district of Uttarakhand. It is the best place for honeymoon in August in India if you are looking for an undisturbed heavenly abode in the hills. 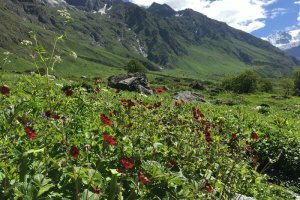 The best experience of your Chamoli honeymoon will be the gorgeous Valley of Flowers. Discovered in 1931, this World Heritage Site is a national park known for its abundant wild flora. Owing to the abundance of medicinal herbs found here, it is believed that this is the site from where Lord Hanuman had brought Sanjivani to save Lakshmana. The place is blessed with several water-falls, streams and paddocks that adds to its scenic beauty.